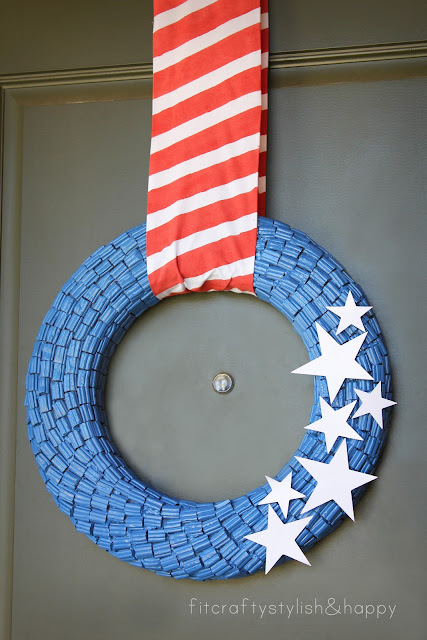 Are you looking for a cute 4th of July, DIY wreath to spruce up your door, mantel, or party decor? 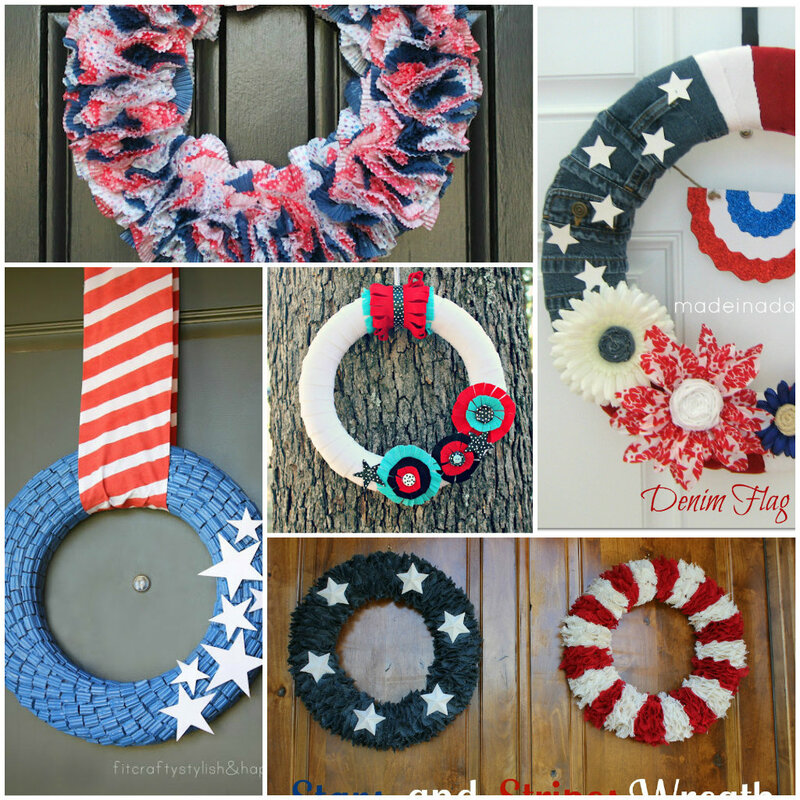 Here are five tutorials for creating unique wreaths that celebrate the ole’ red, white, and blue in style! 1. 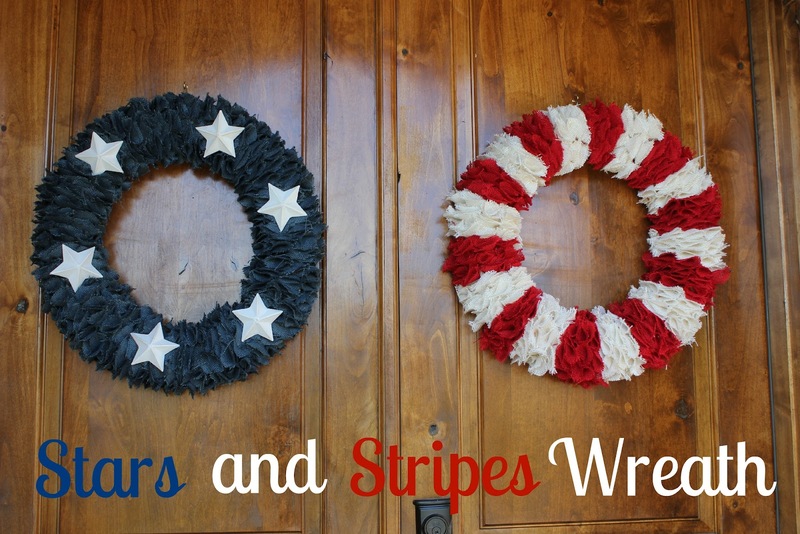 Stars and Stripes Burlap Wreaths by Life with Both Hands Full. Gorgeous ruffly wreaths made from red, white, and blue burlap circles. 2. 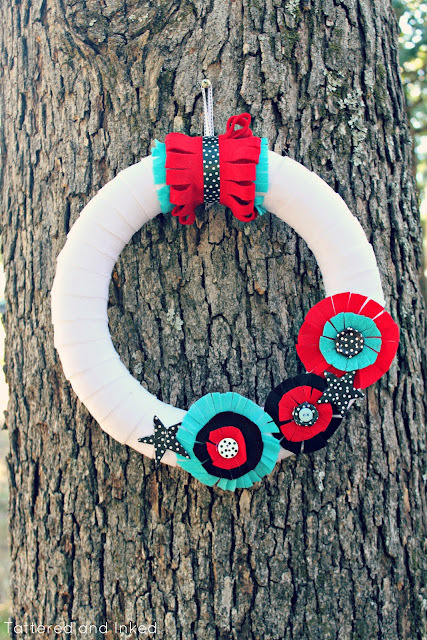 Candy Wreath by Fit Crafty Stylish & Happy. Spray painted Twizzler bites never looked so patriotic! 3. Denim Flag Wreath by Made in a Day. If you have some old jean shorts then you have the makings of a cute wreath! Click for all the how-to’s. 4. 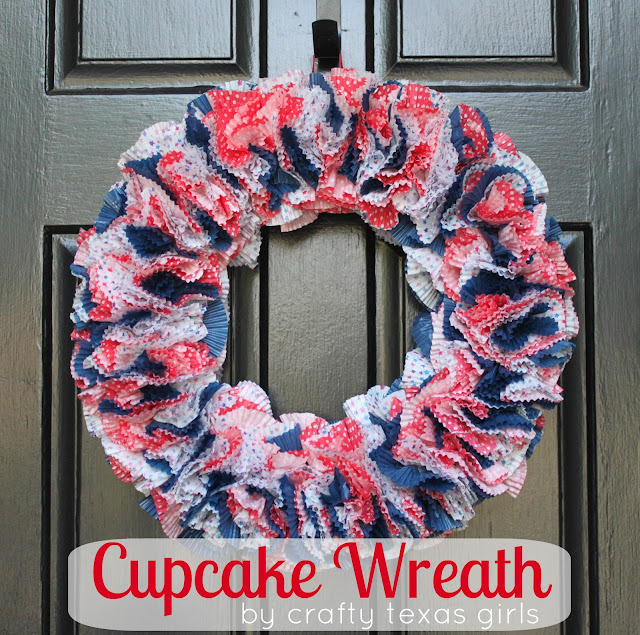 Cupcake Wrapper Wreath by Crafty Texas Girls. 5. Felt Wreath by Tattered and Inked. I love the non-traditional take on the colors! Yay!! Thank you Beth for featuring my Denim Wreath!!! So excited! Love the wreath tutorials. It’s hard to choose just one! Ahhh! I am honored to be included in your feature!!! Thank you so much! some other really great wreaths you have featured! Thanks for including mine. Thank you so much for including my felt wreath with this fun line-up 🙂 Love that cupcake liner wreath! !